I have a choropleth map that represents the number of states being affected by a storm event. This is shown in the image below. 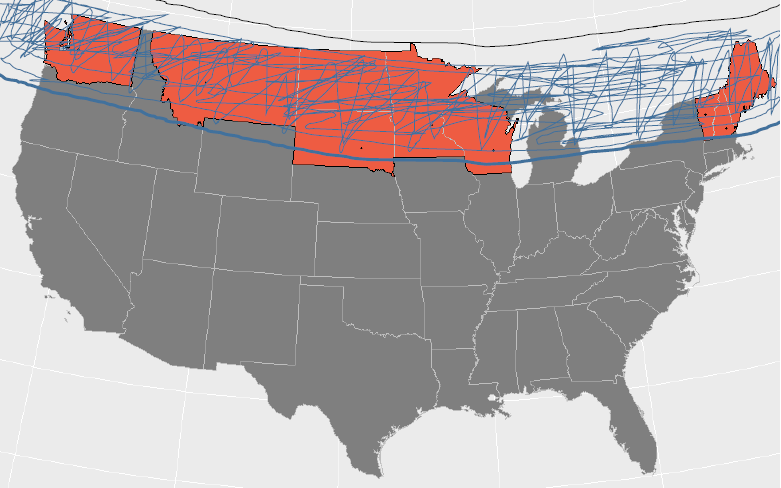 I want to lay a transparent line or polygon over these states to represent the storm area. How do I do this? Here is a link to the whole R code and shape files. 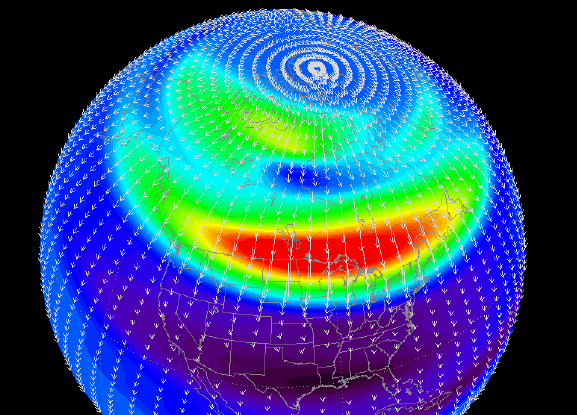 EDIT: I would like it to look like this mock image below, whereby a band spreads all the way across the US, representing geomagnetic storm activity. This band can then be made fairly transparent. library(broom) # to replace fortify() with tidy(). 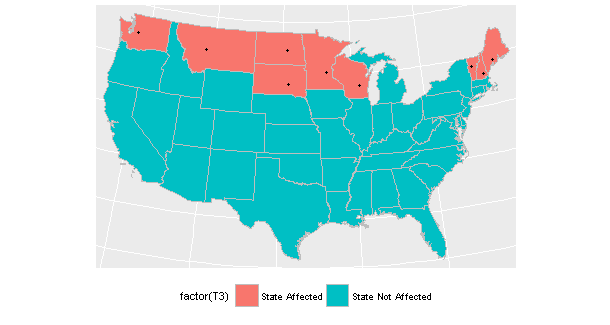 # Select Affected states based on $T3. Subset and merge to one polygon. Note that you can change alpha parameter to add a fill effect to your polygon, and you can also control the border with the linetype. Following are the complete and adjusted plotting code and an image with the result. Not the answer you're looking for? 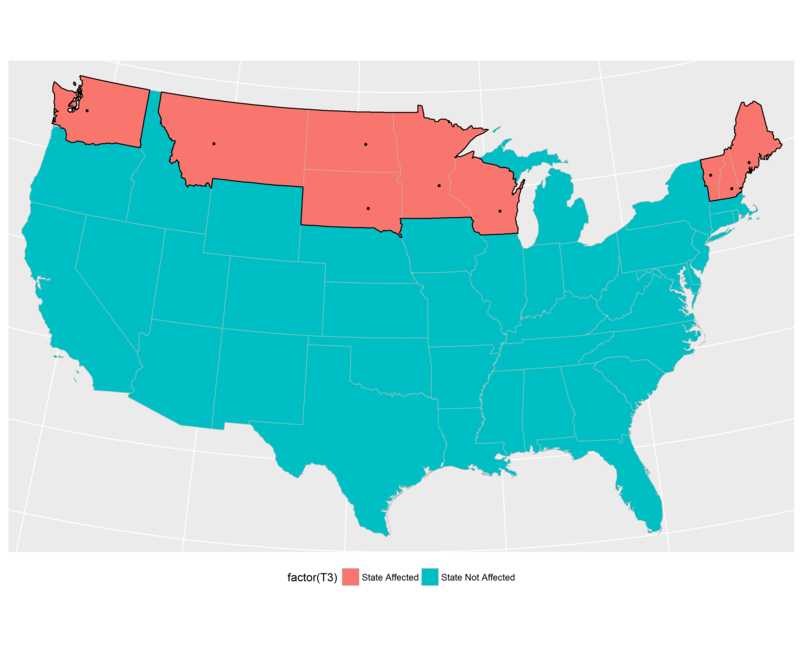 Browse other questions tagged polygon r line choropleth ggplot2 or ask your own question.